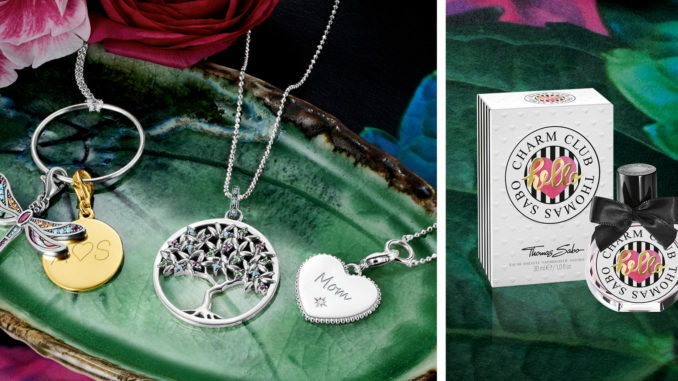 Hello Mum, I love you: THOMAS SABO celebrates Mother´s Day with paradisaical jewellery creations and personal gift ideas from the heart. Picture exclusively for editorial use. Say thank-you for Mother’s Day 2019. THOMAS SABO presents a paradisiacal variety of designs that express affairs of the heart – from tropical jewellery statements, to loving Charms to personal engravings. THOMAS SABO focuses on playful combinations and customising. The hand-crafted new designs in the collection invite you to discover different colours, shapes and styles to surprise a loved one with a piece of unique jewellery. The highlights include the detailed craftsmanship of dragonfly pendants, a tropical tree of love that inspires its wearer to enjoy life, and multi-faceted Charms, some featuring personalised engraving. THOMAS SABO is one of the globally-leading jewellery and watches companies, designing, selling and distributing lifestyle products for women and men. The company, established in 1984 in Lauf an der Pegnitz, Germany, operates around 300 shops across all five continents with a total of around 1,800 employees. THOMAS SABO also collaborates globally with approximately 2,800 trade partners.